I wrote the following set of definitions for the Religion Stylebook of the Religion Newswriters Association at the request of the organization's president, Ann Rodgers. After reading about my interactions with Public Radio international over its poorly researched and disrespectful coverage of Ásatrú (“Æsir Faith,” the modern iteration of Old Germanic religion), Ms. Rodgers asked me to pick ten terms important to Ásatrú and write definitions for the online guide. Before my submissions, the guide contained no entries related to Ásatrú. Religion Newswriters' Religion Stylebook is an easy-to-use authoritative guide created for journalists who report on religion in the mainstream media. 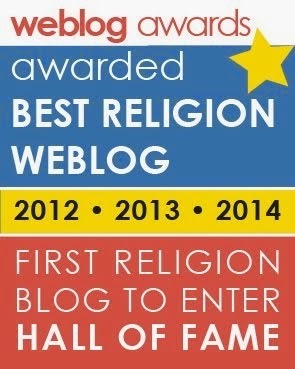 It includes entries on the major religions, denominations and religious organizations journalists often encounter; preferred spellings, capitalizations, some definitions and usage guidelines for religious terms; accurate titles for religious leaders in different traditions; selected pronunciation guides; entries on terms used in stories on current topics in the news, such as abortion and homosexuality; and entries on religion terms that are not included in The Associated Press Stylebook. It's not every day that the head of a major journalists' association asks you to literally define a religion for the nation's mainstream media, and I took this responsibility very seriously. I modeled my definitions on those already in the Religion Stylebook and tried to match the selection of terms, lengths of definitions and writing style to entries for other religions already in the book. Of course, I could have written much more on each of the terms I selected, but I matched the amount of text to equivalent terms already included from other faiths. My first goal was to provide short, simple, serviceable definitions for mainstream religion journalists with no prior knowledge of Ásatrú. These are not meant to be exhaustive academic definitions or in-depth theological discussions. You will notice that some of my definitions include instructions; these reflect both the tone of the Religion Stylebook, the guide's role as a help to writers, and my own desire to address some common misconceptions. I am happy to expound upon these definitions or provide further information for any interested journalists who contact me. My second goal was to write definitions that would be general enough to be acceptable by members of the many divergent Ásatrú communities around the world. I fully understand that there is a great diversity of approaches to Ásatrú – as there is to any religious tradition. In an effort to balance out any personal bias, I asked leaders in three different Ásatrú communities to read my definitions and give their comments. Jóhanna G. Harðardóttir (Iceland), Josh Heath (USA) and Sven Scholz (Germany) were all kind enough to share their time and wisdom, and I am deeply grateful for their generosity. Their insights have made the definitions stronger; all remaining faults are my own responsibility. While editing my definitions for the guide, the Religions Stylebook's Mary Gladstone asked me to add to the existing Yule definition, which only discussed Christian usage of the term. I'd like to thank her for her kindness and diligence in adding all of my definitions to the Stylebook. In order to help shine a light on this issue, I recently joined the Religion Newswriters Association. I hope that my membership in the organization will enable me to make contact with the more open-minded wing of the profession. I also hope that my work on this blog (and the other websites of Norse Mythology Online) will inspire other writers to move beyond their comfort zones and begin to investigate the deep reservoir of all the world’s religious beliefs – past, present and future. Now that these definitions are part of the searchable online database, I feel that my faith in the organization has been rewarded. I hope that this small step will encourage journalists to cover minority religions with the same respect they give to faiths with larger numbers. Things can only get better. Pronounced “AY-seer.” A collective term for the principal gods of Ásatrú, including Odin and Thor. Since at least the 13th century, the term has been used to designate all the Norse gods — even those (such as Frey and Freya) who are considered part of the Vanir, a second group of deities. 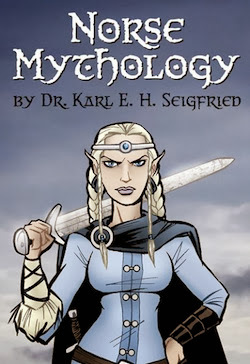 Pronounced “OW-sa-troo.” The modern iteration of pre-Christian Germanic religion; the Icelandic term for “Æsir faith” refers to belief in the Old Norse gods. 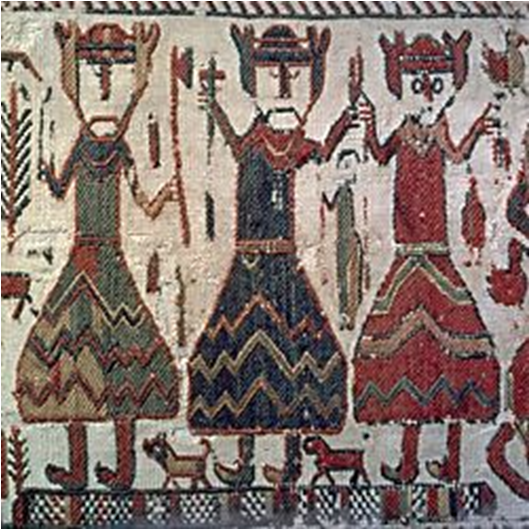 Ásatrú has a 4,000-year history; its gods, symbols and rituals have roots dating to approximately 2000 B.C. in Northern Europe. From Bronze Age beginnings through the Viking Age, local variants developed throughout continental Europe, the Nordic countries and the British Isles. While large-scale practice ended with Christian conversion, private worship is documented for several subsequent centuries. Some beliefs and rituals survived into the 20th century as elements of folk religion throughout the Northern European diaspora (including North America). The contemporary revival began in 1972, with the founding of Iceland’s Ásatrúarfélagið (“Æsir Faith Fellowship”). Since then, practice has spread worldwide through a mixture of national organizations, regional gatherings, local worship groups and lone practitioners. In Iceland, the Ásatrúarfélagið is now the largest non-Christian religion. In 2013, the Department of Veterans Affairs responded to a petition by Ásatrúar in the United States and approved Mjölnir (Thor’s hammer) as an available emblem of belief for government grave markers. Beliefs and practices vary greatly and span a range from humanism to reconstructionism, from viewing the gods as metaphorical constructs to approaching them as distinct beings. Deities venerated in Ásatrú include Freya, Odin and Thor, but respect is paid to a large number of gods, goddesses and other figures (including elves and land spirits). The common ritual is the blót, in which offerings are made to gods and goddesses. Major holidays include Midsummer and Midwinter (Yule). Practitioners tend to incorporate local elements into their praxis and are often quite studied in traditions dating to the pre-Christian era. Ásatrú is also known by adherents as heathenry or the Old Way. Followers should be referred to as Ásatrúar (singular and plural) or heathens. Although Ásatrú clergy are referred to as goðar (singular goði), the term is not placed in front of their proper names as an honorific. Pronounced “blote.” The central ritual of Ásatrú. 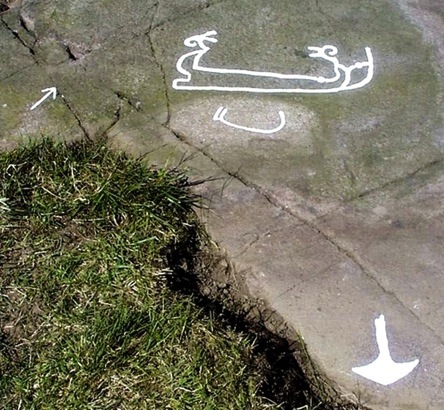 The Old Norse word for “sacrifice” is used for a ritual in which offerings are made to gods, goddesses and other figures (including elves and land spirits). Blót is often performed outside, and the most common offering is some form of alcohol (beer, mead). Foundational texts of Ásatrú. 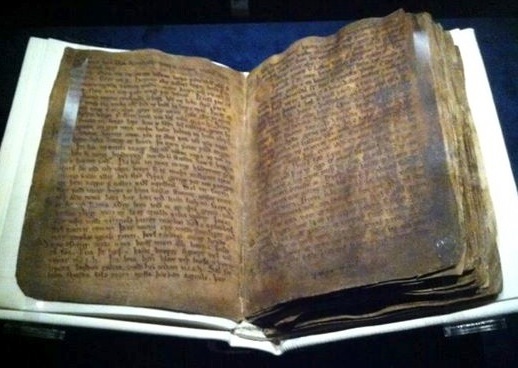 The Prose Edda, compiled by Snorri Sturluson circa 1220, contains the major surviving myths of the Norse gods and goddesses and preserves pre-Christian poems not attested elsewhere. The Poetic Edda, an anonymous manuscript from circa 1270, is the most important source of Old Norse mythological and heroic poetry; the poems it contains were composed in the centuries preceding the formal conversion of Iceland to Christianity in 1000. Unlike holy books of other traditions, the Eddas were transcribed by writers who were not part of the religion and are notable for Christian interpolations. 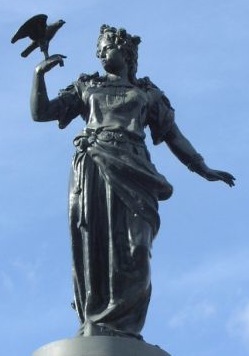 Pronounced “FRAY-uh.” The major goddess of Ásatrú. She is a deity of death, fertility, love and magic. Although not married to the god Odin, she shares many characteristics with him; medieval literary sources state that she taught him to practice magic. Do not refer to her as “goddess of love,” a common misunderstanding that equates her with Venus. Pronounced “GO-thee.” Title for Ásatrú clergy (plural: goðar). Use when referring to the role of the individual, but do not place in front of a proper name as an honorific. Pronounced “MYUL-neer.” The universal sign of Ásatrú; the Old Norse name for Thor’s hammer. 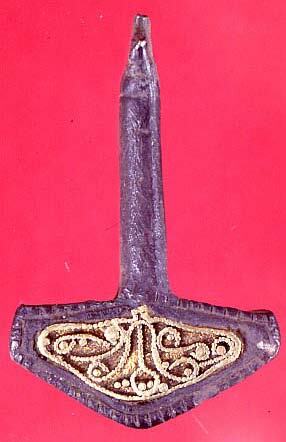 In a tradition originating in the pre-Christian era, Ásatrúar wear small neck pendants representing the hammer of Thor. Dating back to Bronze Age carvings in Scandinavia, the hammer has a 4,000-year history as a symbol of protection, blessing and community. One of the major gods of Ásatrú. He is a deity of death, inspiration, language, magic, poetry, war and wisdom. The subject of many poems and stories in the Eddas, he is seen by followers of Ásatrú as leader of the Æsir. Also known as Woden and Wotan; Odin is the preferred English spelling. Pronounced “SVAIN-byordin BAIN-tain-son.” The founder of the Ásatrúarfélagið (“Æsir Faith Fellowship”). 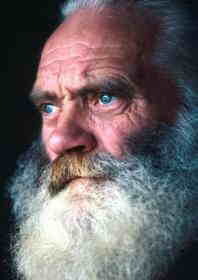 An Icelandic farmer-poet, he led the emergence of Ásatrú as a modern religion and served as chief goði of the heathen church from its founding in 1972 until his death in 1993. Since Icelandic second names are patronymics (not family names), refer to Sveinbjörn by first name after full initial mention. One of the major gods of Ásatrú. His main role is one of protection, and he is considered the god of everyday people. Although many myths portray him fighting giants (symbols of dangerous natural forces), historical sources tie him to agriculture. His hammer, Mjölnir, is a symbol of protection, blessing and community; most followers of Ásatrú wear it as a sign of faith. Do not use imagery and quotes from Marvel comic books and films to illustrate Ásatrú belief in Thor. An ancient name for the Northern European pre-Christian celebration also known as Midwinter (see Ásatrú). The word is etymologically related to Jólnir, a name for the Norse god Odin, who was particularly venerated at this sacrificial feast (see blót). After Northern Europe’s conversion to Christianity, the name of the heathen feast came to refer to the Christmas celebration. Nowadays, the terms Yule and Yuletide are most often associated with the season marking Jesus’ birth. I like it a lot. Nice and straightforward, neutral on the fault lines within Heathenry while admitting their existence. Very well done. Kudos to you. This kind of vital and behind the scenes work has far reaching positive and long term consequences. In case others don't recognize this; Thanks! Awesome work, and I hope it clears up any future issues before they hit print. Quick question though, since I always seem to notice it: In the Asatru description, why use B.C., and not B.C.E.? Is that part of the Stylebook's own style guide? If not, can we have a moratorium on using Christian deliminators for our years, and use the secular, scientific one? Just my own nit to pick. Very nicely put. I don't think it could have been put much better without going off on tangents that would confuse reporters, rather than enlighten them about Asatru and Asatruar. Good eye! My definition, of course, used BCE. The editor at the guide changed it to BC to fit with Associated Press style guides. In the grand scheme of things, I was willing to let this point slide. Thanks for that! The more we try, the less "we've always done it that way"/"everyone does it" they can claim. Thank you. All which you have written are very interesting.